PEORIA, AZ. (THECOUNT) — Martha Thy, of Spring Valley, California, has been identified as the woman stabbed to death following a Loop 101 crash on Friday. 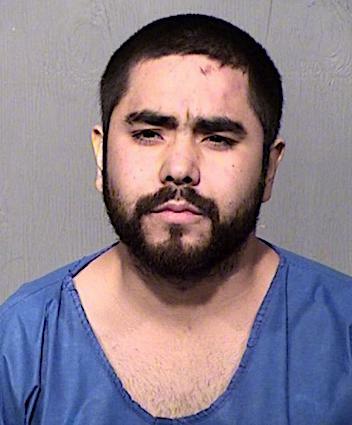 Fernando Acosta, 25, was arrested and booked into the Fourth Avenue jail on charges of first-degree murder and aggravated assault. According to the police report, Thy suffered more than 20 deep cuts to her face, upper torso and body. According to the police report, the couple lived together. The deadly incident happened just before 7 a.m. Friday in the middle of rush hour traffic after a white Lexus careened off the highway, through a dry canal embankment and into a fence, reports AZFamily. Witnesses say Acosta stabbed Thy as she sat in the crashed vehicle and then continued stabbing her to death outside the vehicle in plain view of passing cars. Thy was transported to an area hospital where she was later pronounced dead of stab wounds. Acosta made his first court appearance on Saturday. His bond is currently set at $1 million. Geo quick facts: Peoria is a city in Maricopa and Yavapai counties in the State of Arizona. Most of the city is located in Maricopa County, while a tiny portion in the north is in Yavapai County. 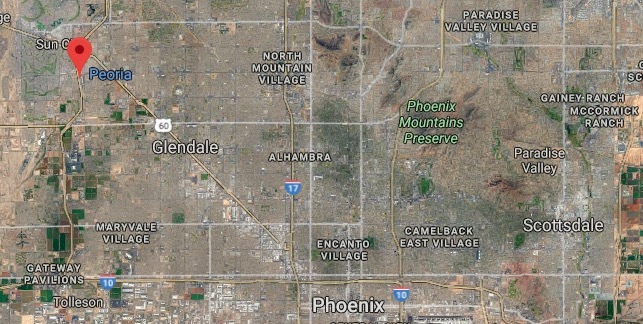 It is a major suburb of Phoenix. According to 2017 Census Bureau estimates, the population of the city is 168,181 – Wikipedia.